On August 15, 1945, when the war ended, almost all of Tokyo and Osaka's theaters had been destroyed or heavily damaged by American bombs. The Japanese urban infrastructure was reduced to dust, and so, one might have thought, would be the nation's spirit, especially in the face of nuclear bombing and foreign occupation. Yet, less than two weeks after the atom bombs had been dropped, theater began to show signs of life. Before long, all forms of Japanese theater were back on stage, and from death's ashes arose the flower of art. 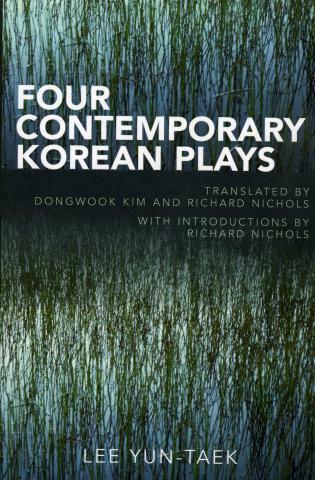 The great value of this book: it broadens our knowledge of a time of crises in Japanese theatre—a crisis taht mirros our view of the entire postwar Japan. No review of this brevity can do complete justice to a study of this scope and variety....Leiter has done an admirable job stitching together more than a dozen essays covering a wide range of theatrical forms, from itinerant troupes of female kabuki actors to Takarazuka under the occupation....this book is a fascinating look at a dramatic chapter in Japan's turbulent postwar reconstruction when the theater offered solace to a public hungry for entertainment and direction. Rising from the Flames contains sixteen essays, many accompanied by photographic illustrations, by thirteen specialists. They explore the triumphs and tribulations of Occupation-period (1945–1952) theater, and cover not only such traditional forms as kabuki, no, kyogen, bunraku puppet theater (as well as the traditional marionette theater, the Yuki-za), and the comic narrator's art of rakugo, but also the modern genres of shingeki, musical comedy, and the all-female Takarazuka Revue. Among the numerous topics discussed are censorship, theater reconstruction, politics, internationalization, unionization, the search for a national identity through drama, and the treatment of the emperor on the pre- and postwar stage. 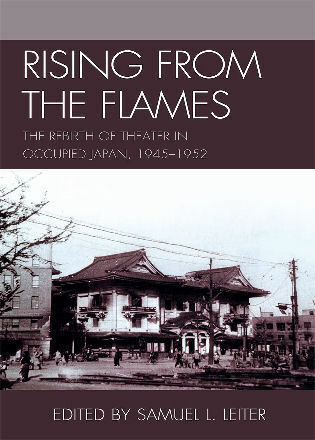 The essays in this volume examine how Japanese theater, subject to oppressive thought control by prewar authorities, responded to the new—if temporarily limited—freedom allowed by the American occupiers, attesting to Japan's remarkable resilience in the face of national defeat.